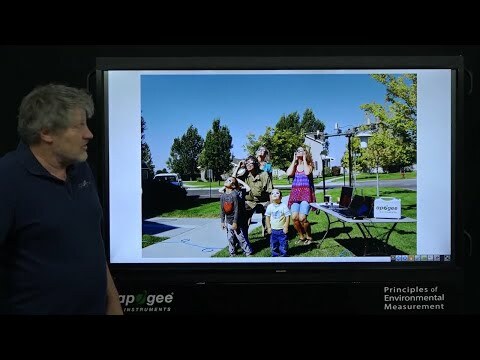 Apogee Instruments is pleased to announce the release of our horizontal field of view (FOV) infrared radiometer (IRR). Some of the features and uses are listed below. The SI-1H1 IRR is different from any other IRR that Apogee has manufactured in the past. It was designed with a unique rectangular FOV, intended specifically for far-field applications. Unlike previous IRRs, the SI-1H1 has two different half angles: 32° horizontal and 13° vertical; which will be described in more detail below. The sensor has an accuracy of ± 0.2 °C just as the SI-111 and SI-121 IRRs. Field of view (FOV) is typically reported as half-angle. Previously, all Apogee IRRs had an axisymmetric FOV, which depended on the model number. 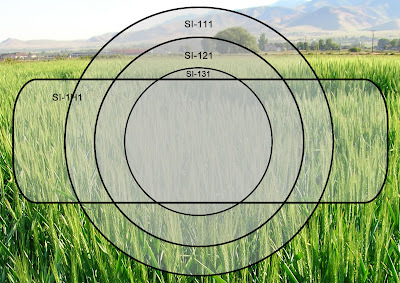 For example, the half angles for the SI-111, SI-121, and SI-131 are 22°, 18°, and 14°, respectively. 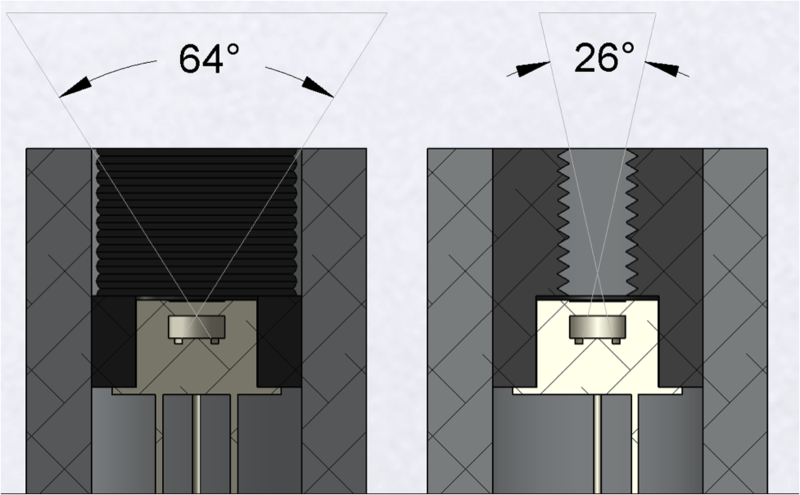 As seen in the photo above, the SI-1H1 sensor has a rectangular aperture, creating an asymmetric FOV, with a horizontal 32° half angle for the lateral direction of the rectangular geometry and a vertical 13° half angle for the narrower dimension of the rectangular aperture. The figure below demonstrates these two different FOVs (full angle) from cross-sections of the SI-1H1 sensor. The question arises: Why a rectangular slit instead of the usual circular aperture? When using an IRR, one must make sure that only the desired target is in the FOV, in order to make an accurate temperature measurement. 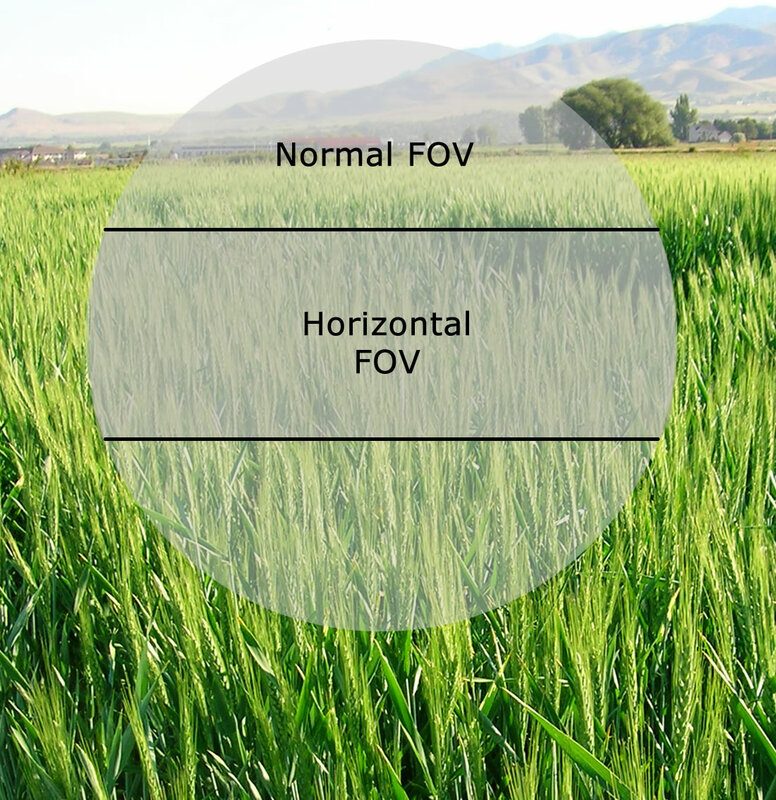 For example, a problem some crop scientists face is accidentally having more than their crops in the FOV of the IRR. This could include the sky and/or other background objects (see figure below). Unfavorable images caught in the FOV of the IRR alter the desired temperature measurements and yield incorrect results. By adding a horizontal “filter”, the likelihood of capturing the background is dramatically reduced in certain applications. As expected, the aperture has baffles in order to deter reflected radiation from influencing measurements. Furthermore, the IRR can be mounted at greater angles of inclination from the ground. 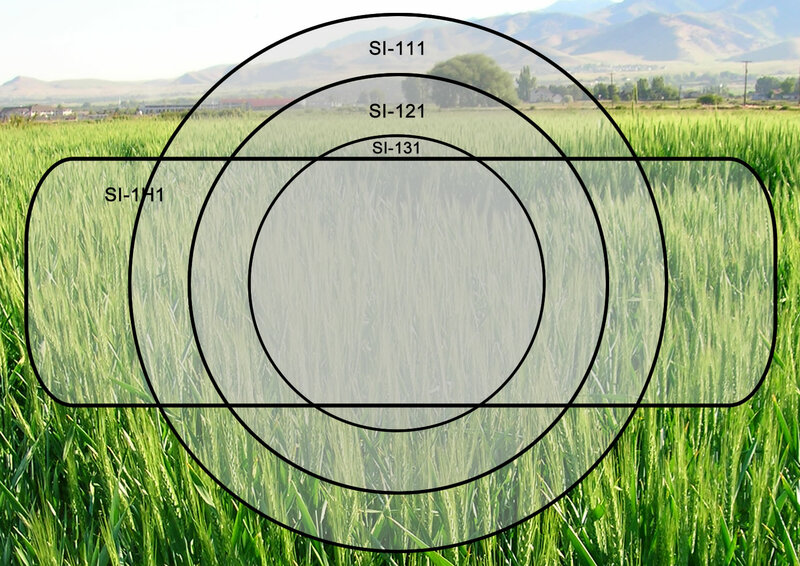 The SI-1H1 isn’t limited to cropped fields, since unique circumstances could require its use in many applications. In order to calculate the target area (based on the installation directions given below), please click here for a preconfigured Excel spreadsheet. 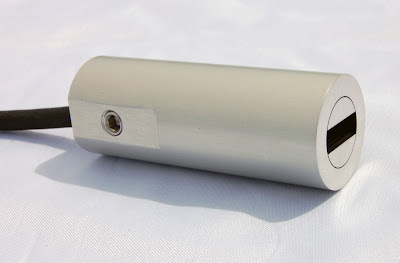 With the horizontal aspect of this sensor, installation is critical and involves more than mounting the sensor at the correct inclination angle. We recommend the AM-210 Mounting Bracket which allows users to adjust the angle of the sensor with respect to the target area. The AM-210 accommodates the radiation shield designed for all Apogee infrared sensors. Once the desired angle has been set, the sensor needs to be rotated along its main axis so that the rectangular portion of the sensor is aligned to the horizon. This orientation will minimize the likelihood of capturing sky or other background interference. If you are not using the radiation shield or the AM-210 mounting bracket, the SI-1H1 has the standard mounting hole (¼ - 20), which is aligned with the horizontal aperture. If the sensor is installed against a completely flat vertical surface, using the mounting hole, the rectangular aperture will be aligned with the horizon. Apogee is proud to offer another great product to our customers. We are continually focused on product innovation so you can “Make Better Measurements.” To learn more about the new SI-1H1 sensor or to place an order, click here.